Double the style in the Carlee Twin Gore from Polo Ralph Lauren Kids! Smooth synthetic upper in a metallic finish. 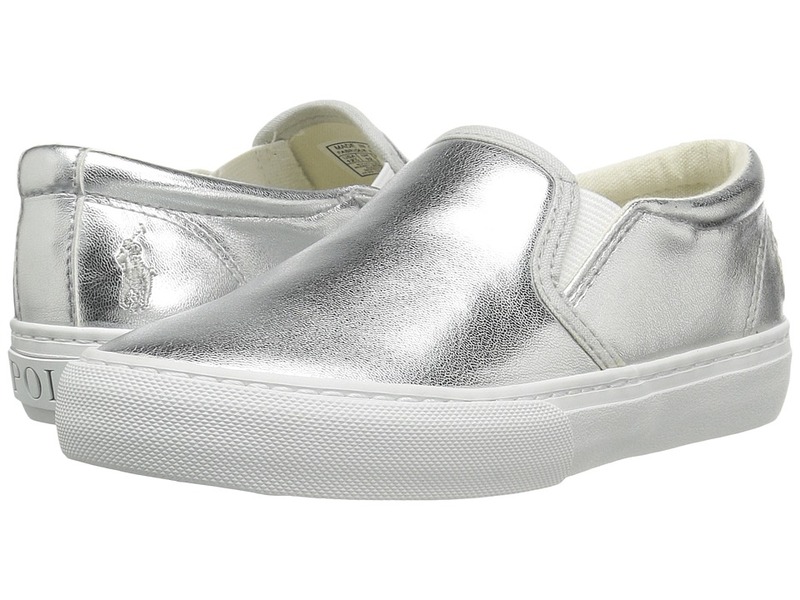 Dual goring for a comfortable slip-on fit. Soft textile lining. Cushioned footbed for added comfort. Durable rubber outsole. Imported. Measurements: Weight: 7 oz Product measurements were taken using size 12.5 Little Kid, width M. Please note that measurements may vary by size. Weight of footwear is based on a single item, not a pair.